I like to work with a simple formula: CSR Success is any initiative that aligns business value with social and/or environmental value. 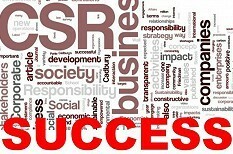 CSR success is much more than simply doing good social work. In fact, doing good social work without creating value for your business or organization can easily be defined as CSR Failure, simply because it isn't sustainable. CSR success is about finding that sweet spot where you can deliver value to your business or organization, fulfilling its mission and mandate and SIMULTANEOUSLY deliver value to society and/or environment. Below are various graphics and captions that I've develop to help stimulating thinking and action to lead towards CSR Success. If interested in more, please review other posts, or contact me directly regarding training/consulting support. #CSRSuccess | Just Doing Good Doesn’t Do It. Focus on simple, value-centric principles. Create, align & deliver business, social & environmental value – and do it efficiently. 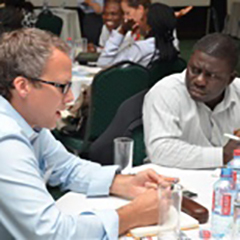 How well do you understand your CSR Economics? Have you analyzed them? Analyzing and understanding are key to improving them? #CSREconomics? CSR is much more than just doing good. It should be smart business. Ever wonder why the #CSR discussion so seldom focuses on efficiency in creating social and business value? Isn't it worth thinking about? Just a bit more? I hope you have enjoyed these little tidbits – and even more, I hope they helped to stimulate you and colleagues to discuss and learn with and from each other. Feedback and comments welcome.